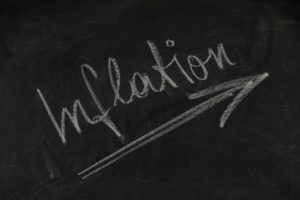 Inflation remained tame in October. The Fed’s favorite inflation gauge, the annualized Core PCE, rose 1.4% from October 2016, well below the Fed’s 2% target range. Despite low inflation, the Fed is on target to raise rates at next month’s FOMC meeting. Don’t expect many more hikes if inflation doesn’t move higher. Within the report it showed that Personal Spending rose 0.3% in October, below the 0.9% in September. Yesterday’s Fed Beige Book showed that economic activity continued to increase at a modest to moderate pace in October and mid-November, with a slight improvement in the outlook among contacts in reporting districts. In addition, reports of tightness in the labor market were widespread. The Beige Book precedes the Federal Open Market Committee meeting which will begin on December 12 and end on December 13. Mortgage rates edged lower this week and remain just above all-time lows. Freddie Mac reports that the 30-year fixed-rate mortgage fell 2bp this week to 3.90% with an average 0.5 in points and fees. Freddie Mac says average commitment rates should be reported along with average fees and points to reflect the total upfront cost of obtaining the mortgage.